Some cashmere landed on my desk recently—I do love my work! 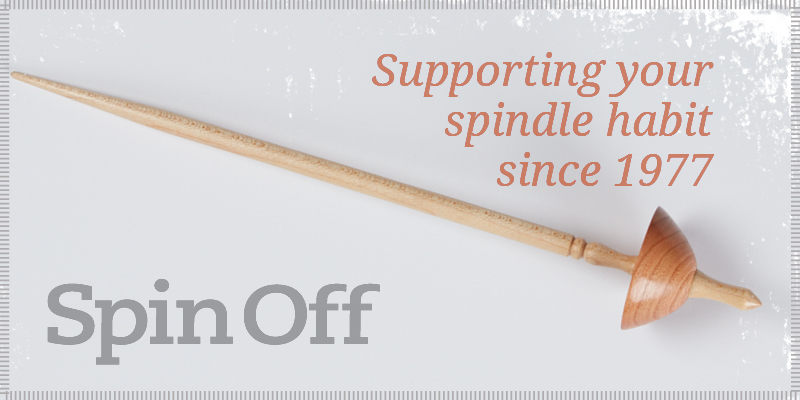 To make the loftiest, finest handspun yarn, a supported spindle can’t be beat, so it’s time to pull out a Tibetan spindle or a tahkli (affiliate link) and practice spinning supported. To get started, I flipped to Heather Zoppetti’s article “Spinning Supported.” Here is some of Heather’s expert advice, which appeared in Spin Off Winter 2016. Supported spindle spinning is the perfect method to spin a light and lofty laceweight. Getting started is the hardest part of spinning supported. I like to spin my own leader, which I do by impaling the fiber over the tip and slowly drafting out some singles with a park-and-draft motion. To keep the fiber from jumping off the top of the supported spindle, I wet it just a bit, which helps it stick to the shaft while I build up some twist. As I create a longer singles, I slide the initial fiber down the shaft to the bottom. Once I have enough to wrap around and secure the initial fiber, I can start spinning as normal. 2. Build a temporary cop near the top of the shaft when spinning. 3. 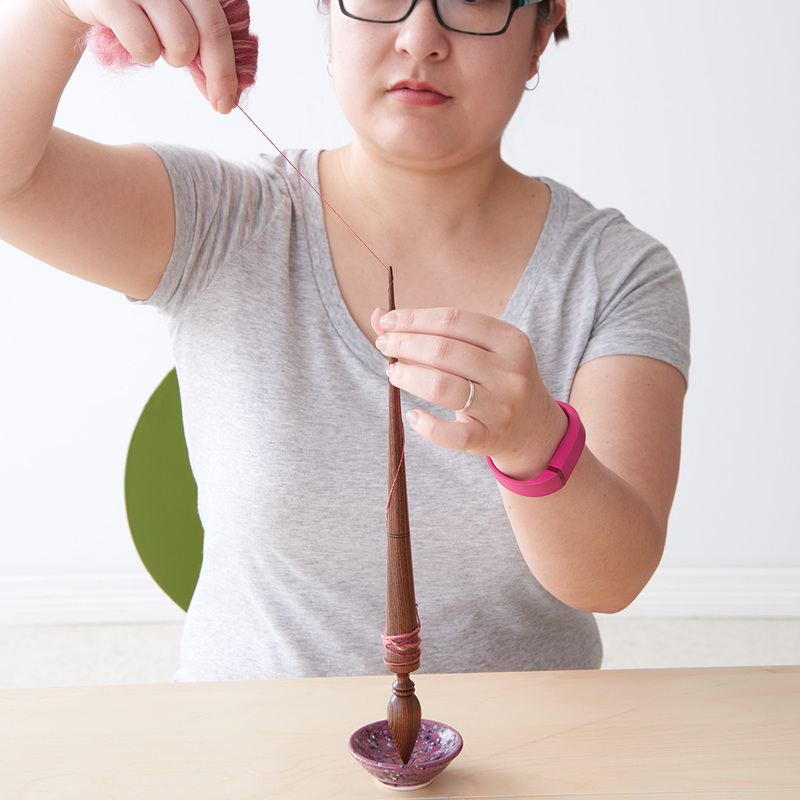 Transfer the yarn from the temporary cop onto your fingers, then wind it onto the base of the shaft. When spinning supported, the angle is everything. As you build twist energy, you want to keep the leader at about a 45-degree angle. This allows the leader to skip over the tip, adding more twist with every skip. If you hold the leader too vertically, the yarn will unwind from the spindle. If you hold the leader at too low of an angle, it will wind onto the spindle. If you are drafting at the same time the spindle is spinning, you need to be mindful of the angle at all times. If, however, you prefer the park-and-draft method, keep the 45-degree angle as you build twist energy, but draft at any angle you like once the spindle stops by securing the leader against the shaft with your finger. This is especially helpful if you’re spinning in a tight space such as a car. I’ve even heard of people spinning while lying in bed! Cop shape is extremely important; it becomes part of the spindle as you create yarn. You want to keep the cop center of mass mid to low and tight. 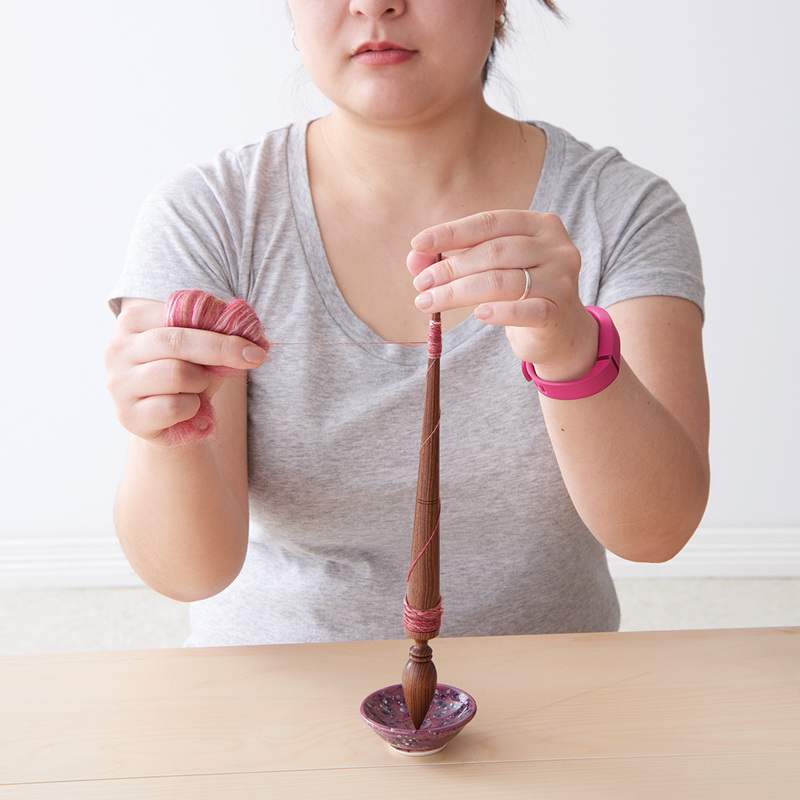 Too loose or too high and your supported spindle will wobble and stop spinning sooner. Torque pulls the fiber up toward the top of the spindle; if you don’t wrap tightly, the whole cop could fly off the top! In order to concentrate on a good cop, I advise building a temporary cop near the tip for a couple of draws. Once that becomes cumbersome, wind it into a butterfly on your fingers and then take the time to wind it carefully onto the tight neat cop at the bottom. Heather Zoppetti is a knitwear designer, teacher, and author. She is the owner of Stitch Sprouts and the author of Everyday Lace and Unexpected Cables and instructor of several Interweave videos. Posted February 7, 2017. Updated May 13, 2019.